Macarthur Fire & Safety Protection Pty Ltd are specialist in fire safety equipment. Established since 2006 servicing the Macarthur area and Sydney region in fire protection. As we are members of the FPA, you can be assured that you are dealing with professionals in sales & service of fire protection. For the protection and peace of mind Macarthur Fire & Safety Protection holds a number of industry certifications and memberships, as well as holding all necessary insurances. We come to you in our reliable marked service vehicle which is equipped with parts and fire equipment ready for immediate installation and service. 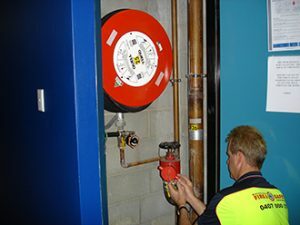 Macarthur Fire & Safety Protection Pty Ltd has developed a reputation for reliability and excellent customer service, which only comes by experience.